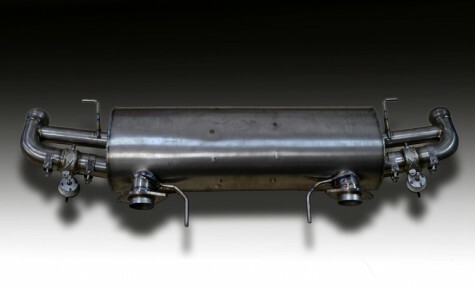 The sports exhaust have been developed to enhance the sound and performance of the V12 Vanquish. Our exhaust emphasizes the current engine note to louder levels rather than changing the sound of the car. This coupled with a great weight savings make the sports exhaust a great performance upgrade.